Department store chain House of Fraser is to close 31 of its 59 shops, affecting 6,000 jobs as part of a rescue deal. The retailer needs the approval of 75 per cent of its creditors to go ahead. Creditors will vote on the insolvency plan, which involves company voluntary arragements on June 22. In May, House of Fraser’s Chinese owners Nanjing Cenbest reached a conditional agreement to sell a 51 per cent stake to Chinese owner of Hamley’s C.Banner. 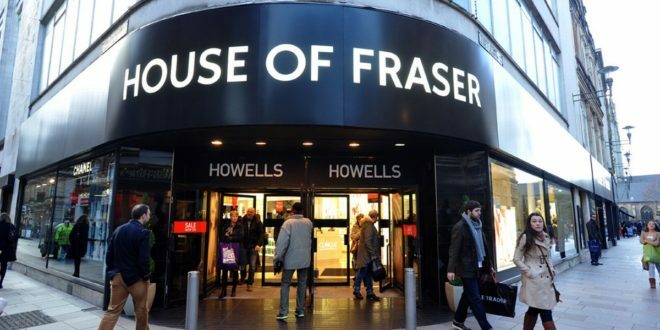 House of Fraser chairman Frank Slevin, said: “The retail industry is undergoing fundamental change and House of Fraser urgently needs to adapt to this fast-changing landscape in order to give it a future and allow it to thrive. In addition to the store closures, the department store chain is seeking to cut rents by 25 per cent on rent of the stores it is keeping open. Of the 31 stores it wants to shut, it is seeking a 70 per cent rent reduction for seven months, after which the stores will close.